We're Hosting a Job Fair in Palatine! Enter to Win a Prom Dress Embellished by Bjorn! Look AMAZING at prom in a fabulous dress purchased at Goodwill! This trendy piece (original value $120) was purchased for $6.99 and embellished by our Fashion Expert & Designer, Bjorn Nasett. All heads will turn when you arrive in your exclusive, one-of-a-kind dress. Simply stop by our Retique store at 190 N. Broadway, Milwaukee, WI to complete and submit the hard copy entry form (at the store), or fill out an online form by clicking the button below! 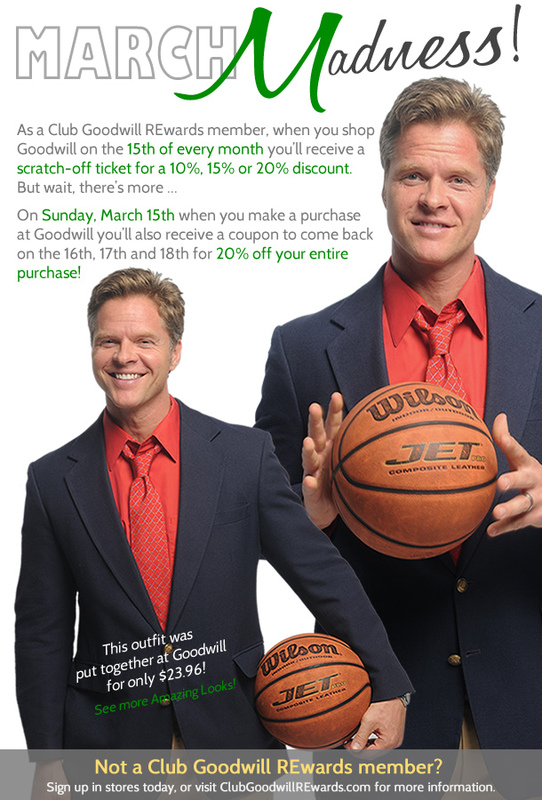 It's March Madness at Goodwill! We're Hiring! Attend a Goodwill Job Fair in Brown Deer! Attend a Goodwill Job Fair in Aurora!